A short talk by a 12 year old girl about the relevance of Imam Husayn's message in todays struggles. It was given at an Arbaeen function in a Mosque in South London in January 2012. Today I want to talk about love for Imam Husayn (AS). Every year in Muharam when we hear of the life of Imam Husayn (AS) and his tragic death in Karbala, it makes us very sad and we cry. But is that really love? I think if we really love Imam Husayn (AS) it has to go beyond feeling sad, beyond tears. Real love results in actions. I think if we really love Imam Husayn (AS) then we should follow the principles he stood for and died for. That's real love. Love is when we let our lives be guided by his life, his principles, his ideals. If we look at the life of Imam Husayn (AS) we see that above everything he stood for justice, he stood against oppression. When Imam Husayn (AS) left Mecca for Kufa he first gave a famous sermon at Mina in which he explained his whole mission. In that sermon, directed at the Muslims who had gathered to perform their Hajj, he explained that when oppression is being committed it is your duty to speak out against it and try and stop it. He explained that God has made believing men and women as protectors of each other with a duty to uphold justice and struggle against oppression (al- 'amr bi al-ma'ruf wa al-nahy 'an al-munkar). Imam Husayn (AS) explained that God mentions this duty before ALL other duties. If we truly love Imam Husayn (AS) how can we stand silent to the oppression around us today? We only have to look to Palestine and Bahrain to hear the call of Imam Husayn (AS) “Hal Min Nasirin YanSurna - Is there anyone to help me?". But what do we do? How do we help? First we have to understand what's going on, we have to educate ourselves to the truth. When I went to ziarat in Syria we visited the mosque of Hujr bin Adi where Hujr and his son are buried. Hujr bin Adi was a pious companion of the Prophet of Islam (SAW) who lived in Kufa during the reign of Muwayia. In those days there were no newspapers, no BBC TV or internet, so the prayer gathering was the place people would come to hear the news, to learn what is happening in the world. During the rule of Muwayia, his governors were told to use the prayer gatherings, the majlis's to tell lies about Imam Ali (AS), and Imam Ali (AS) would be cursed from the minbar. Hujr bin Adi loved the truth, and every time Muwayia's governor would lie about Imam Ali (AS), Hujr bin Adi would get up and tell the truth with praises of Imam Ali(AS). Not once did he stay silence. Eventually the governor had him and his son arrested and sent to Muwayia in Syria. Muwayia gave Hujr bin Adi a final choice - if Hujr bin Adi would curse Imam Ali (AS), he and his son would go free otherwise both would be executed. Hujr refused to join Muwayia's propaganda, his BBC NEWS service, so along with his son he was killed by Muawiya. Before his execution Hujr bin Adi asked that his son be killed first so that he could be sure that his son stayed on the side of truth and was not affected at the sight of his father being murdered. This is what it means to love the truth. When Imam Ali (AS) was martyred in the Mosque in Kufah and the news reached Syria where Muwayia ruled, some people were puzzled, they asked "what was Imam Ali (AS) doing in a mosque?". Muwayia's propaganda, his BBC news service, was so good at spreading such lies that ignorant people, who didn't bother to find out the truth for themselves, questioned whether Imam Ali (AS) even prayed. It's like today when Palestinians are called terrorists and Israel is called a democracy. Lies are presented as truth. In the same way as Muwayia's campaign of lies helped prepare the way for the ascension of his son Yazid to the throne, and ultimately the tragedy of Karbala, so today the lies prepare the way for war on Muslims. Lies matter. When we see lies being shown on the news we could write a letter of complaint, like Hujr bin Adi - stand up for the truth, let the BBC know we caught them in their lie. No one will harm us for it, it’s something that just takes a few minutes and we can do it from the comfort of our homes. If we are not sure of what the truth is then it is our duty to find out. There is the internet, Press TV and other good sources of information. We can also learn first hand by attending talks. My father took me to a Palestinian event where a Palestinian father was visiting the UK with a group of Palestinian students. He told us that the Israeli soldiers come for the children just before their exams to disrupt their education. The soldiers come at night just before fajr, break the door down if it isn't opened and take the children from their beds. They lock up the children so they miss their exams. He was asked "don't the parents resist when the soldiers come to take their children?" The Palestinian father, who himself was first arrested in childhood at age 16, and now 25 years later, has a son aged 11. He replied "Its not easy for a mother to see her child being taken away, but what to do? Anything you do in the house will have a bad impact on your child after they take him.. so for that.. you try and make it easy for your child when they take him..". With torture widespread, the children will be punished if the parents resist. What can we do when we learn of such things? 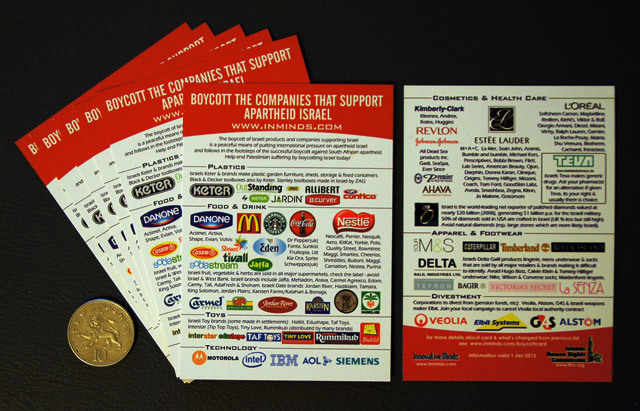 We can all boycott Israeli goods, when you go shopping take one of these cards with you - it lists the companies that support Israel, why should we share in THEIR crime by giving OUR money to them? 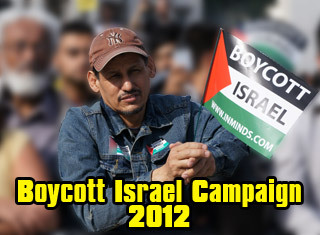 Boycott the companies that support Israel! I saw a video on youtube about a Palestinian girl whose family was thrown out of their home by Israeli soldiers three days before her exams. She revised for the exams homeless on the street opposite her house, which was now occupied by Israeli settlers. The teachers told her they understood if she couldn't take the exams, but she insisted on taking them, it was her way of resisting the oppression. And Alhamdulillah she came top in her class! So there are many ways to find out what is happening in the world. Once we know what is going on we mustn't be afraid to act upon it. We mustn't be scared to do the right thing, this is part of loving Imam Husayn (AS). Imam Husayn (AS) received thousands of letters from the people of Kufah begging him to come and lead them. He sent his emvoy Muslim ibn Aqeel to Kufah, the people welcomed him and pledged their allegiance to Imam Husayn (AS). But before Imam Husayn (AS) could reach Kufah, the people, out of fear of Yazid, betrayed him. Remember when Muslim ibn Aqeel is leading the prayers with thousands of supporters behind him. As he finishes the prayer and turns around the place is empty, all his supporters have disappeared out of fear. This fear lead to the spilling of our Imams blood at Karbala. We must never be afraid. Sometimes mum gets worried that we shouldn't go to a demonstration because it might be dangerous, that I'm too young.. well Imam Husayn (AS) took his daughter Bibi Sakina (SA) to Kerbala, she was only 4 years old.. Yazids soldiers physically attacked her and she was taken captive. She died locked up inside a cage - a 4 years old girl! Recently a 6 month old baby was killed by the Bahraini security forces when they threw a tear gas grenade at her. And before that they shot dead a 15 year old boy who was just playing football outside his house in the village of Sa’ar. Like me cousin, he supported Man United - they shot him in the head. Palestinian children walk to school under the cross hairs of Israeli guns and tanks every single day, even if they make it to school they are not safe, with so many being murdered in their class rooms by Israeli soldiers. Aren't all these children also like Bibi Sakina (as)? Perhaps next time mum will let me show MY LOVE for Sakina by allowing me to go to the next demonstration in support of the oppressed people of Palestine and Bahrain. This is the least we can do to show our love for Imam Husayn (AS). Excerpts from a speech by Shaheed Ayatullah Mutahari on Palestine, with a message to promote Al Quds Day 2011. Ayatullah Murtaza Mutaheri is one of the principal architects of the new Islamic consciousness in Iran. Shaheed Mutaheri was born on February 2, 1920, near Mashhad. When the sad news was conveyed to Imam Khomeini he could not control his tears. In his condolence message he said, "In him I have lost a dear son. 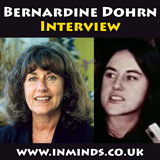 I am mourning the death of one who was the fruition of my life."